Is Apple's AirPower coming out later this week? It’s been almost two year since Apple first announced its WhereAirPower inductive charging mat. Since that fateful September day in 2017, minus an errant mention in the iPhone XS’s packaging material, Apple hasn’t spoken an official word about the long-in-development accessory. All of which has led fans of the company to wonder if Apple ever plans to release the device. Back when Apple vice-president of worldwide marketing Phil Schiller first teased the AirPower, the promise of the inductive charging mat was that it could simultaneously charge three devices. 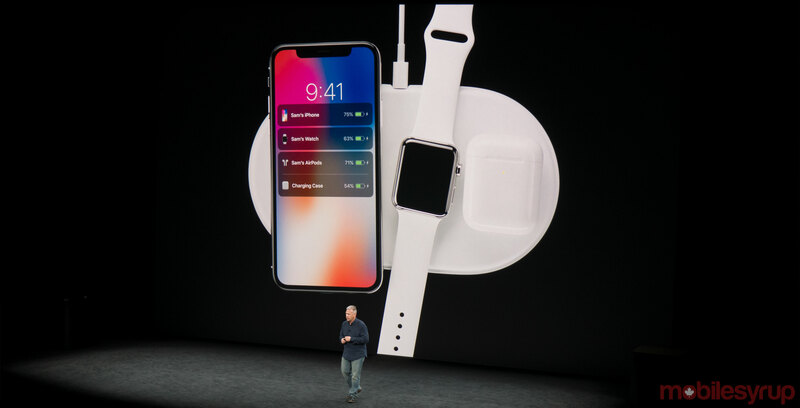 What’s more, and this is the aspect of the AirPower most reports have said have caused it to go missing in action, Apple promised users could place their devices anywhere on the accessory and it would still charge them. This is something no current in market charging mat can do. It appears now that Apple may finally release the AirPower. Let’s take a look at the (mostly circumstantial) evidence. On Monday, Apple released the sixth iOS 12.2 developer beta. Sifting through the code of beta, 9to5Mac discovered a snippet that allows the company’s mobile operating system to identify when two devices are on the same charging mat. Obviously, that type of functionality feeds directly into the AirPower’s own functionality. With the official release of iOS 12.2 right around the corner, the timing seems perfect for Apple to release the AirPower. When Apple announced new iPads on Monday, the tech Twitter cabal began speculating that Apple could announce an update on the AirPower later in the week. At first, the theory that Apple planned to trickle out one product announcement a day for the rest of the week seemed fanciful, but that was Tuesday. It’s now Wednesday and Apple appears to be doing just that. On Monday, the company announced the new 10.5-inch iPad Air and fifth-generation iPad mini. It then followed up that announcement with its iMac refresh on Tuesday. This morning, the company announced the second-generation AirPods. They feature an optional wireless charging case, which takes us to our next piece of evidence. Besides their optional wireless charging case, the new AirPods are the definition of an iterative update. Sure, there’s hands-free Hey Siri support and the inclusion Apple’s new H1 chip, which the company claims improves the battery life of the new AirPods and makes pairing them with other iOS devices faster, but it’s hard to believe the new AirPods are the culmination of more than two years of development. Instead, it seems far more likely Apple has been sitting on the second-generation AirPods, waiting to release them alongside the AirPower. After all, it was when Phil Schiller first announced the AirPower that he also said Apple planned to release an optional wireless AirPods charging case. Last but not least, this week Apple pulled the AirPower webpage that had been collecting dust on its website since it first announced the accessory in 2017. To my mind, the fact that Apple removed the webpage could mean two possible: either AirPower is well and truly dead, or, more likely, the company plans to launch a new webpage, with updated information and pictures, when it officially launches the accessory later this week. What do you think? We will see Apple release the AirPower this week? Let us know what you think in the comments section.